Kombucha is good stuff! 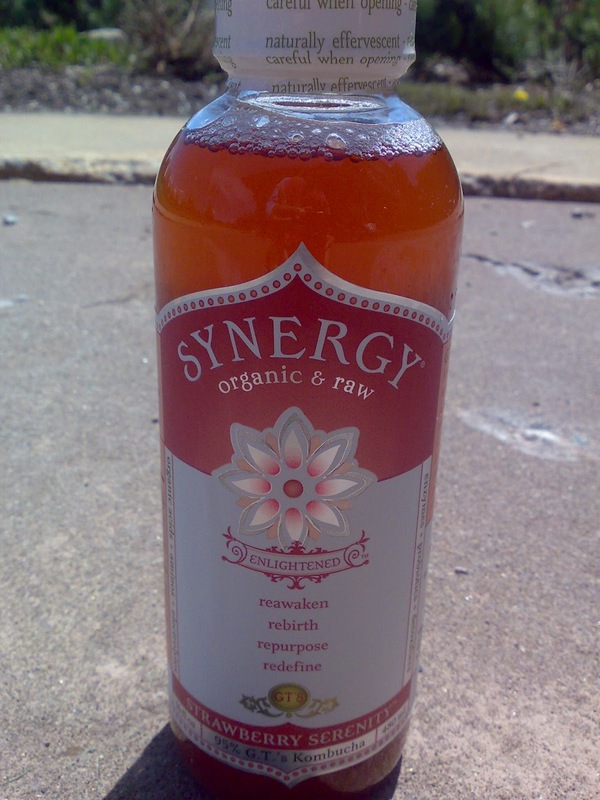 A a fermented tea made using a mother culture, similar to the starter for apple cider vinegar or desem bread, Kombucha is developing a cult-like following. 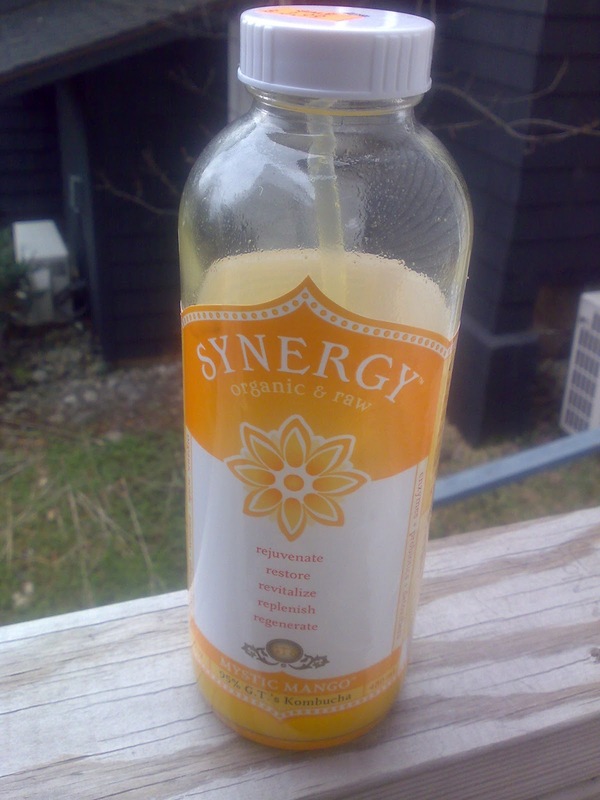 This mildly alcoholic drink is filled with good bacteria to help with digestion and strengthen your intestinal tract. 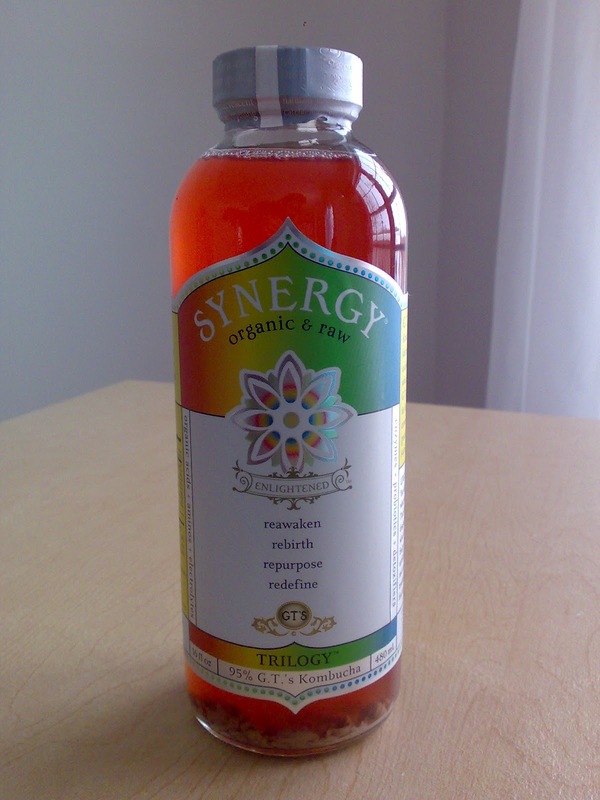 If you take probiotic supplements, all that's in there is in kombucha, too. In ancient China it was believed that this ale had, "magical powers enabling people to live forever." 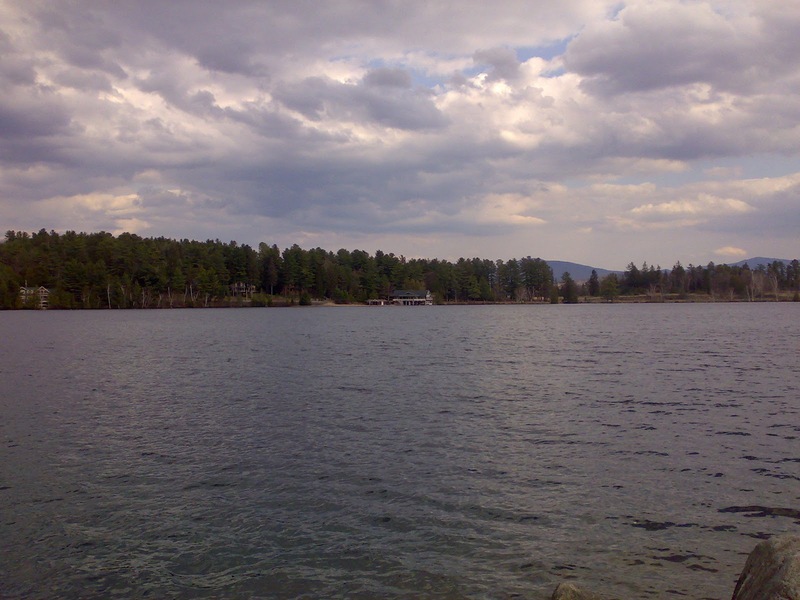 (Wiki). Longevity notwithstanding, this frothy concoction is really tasty and beats any sugary soda or intoxicating beer around. If you're on the East Coast and you're looking for some, there's the Kombuchik Bar, where you can get a freshly brewed, homemade draft of this herb-infused elixir right on tap. On tap the day I visited, was the Hibiscus Haze and the Wintery Mix No. 2. When you first take a sip, the taste is raw and wild, like a waterfall spray on your lips or maybe even opening your mouth to pouring drops of rain. In other words, it's a bit of a shock and you don't know where to place the taste in your drink memory repertoire. 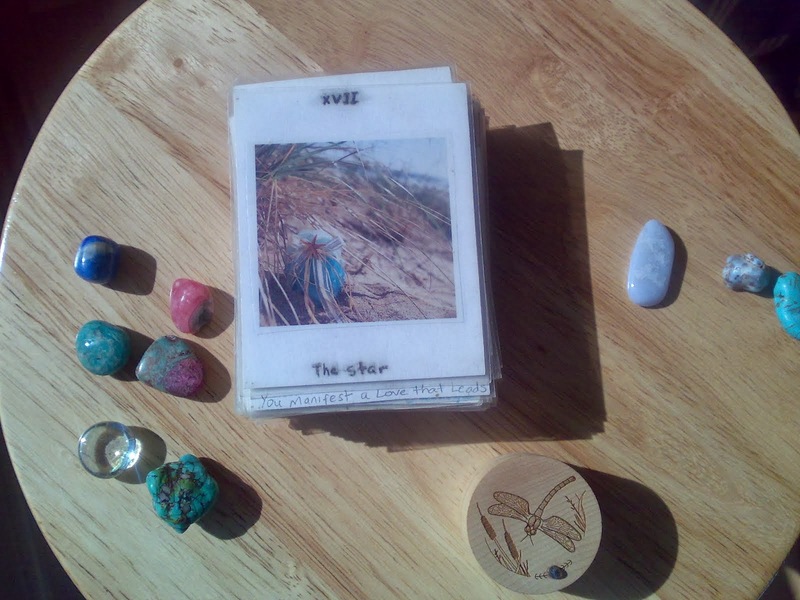 The reason being is that this stuff is unique, nothing else quite like it. It's not beer and it's not apple cider, but it's a merger of sorts - with a hint tea and vinegar, if you can imagine such a combination. Try it. It's not just a drink. It's medicinal and it's good for you. "Proponents claim it aids cancer recovery, increases energy, sharpens eyesight, aids joint recovery, improves skin elasticity, aids digestion, and improves experience with foods that 'stick' going down, such as rice or pasta." (Wiki). When there's no kombucha bar in sight, GT's Raw Kombucha is a great alternative. This California company has come up with various flavors to suit every taste and they are all very good. 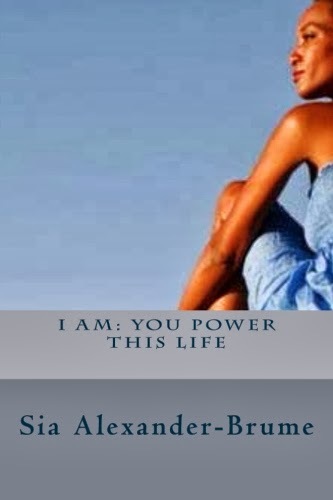 My favorite is their new line called Synergy Enlightened, especially the Trilogy. Raspberry, lemon and ginger are its secret ingredients. It tastes a bit like a fruity, spicy tea with Perrier fizzy water mixed in. Strawberry Serenity is another favorite. It has bits of strawberry inside and is such a thirst quencher. Have some after a nice hike or run. If you look at the bottom of the bottle, you will notice some cloudy substance floating around. 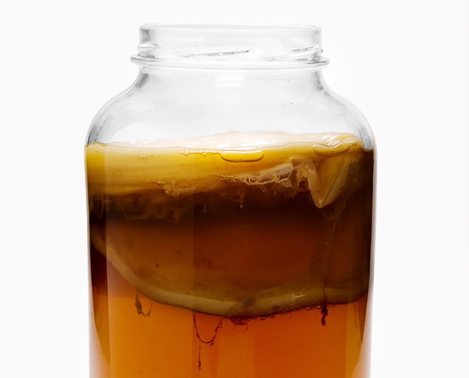 This is from the kombucha culture and is natural to the mix. 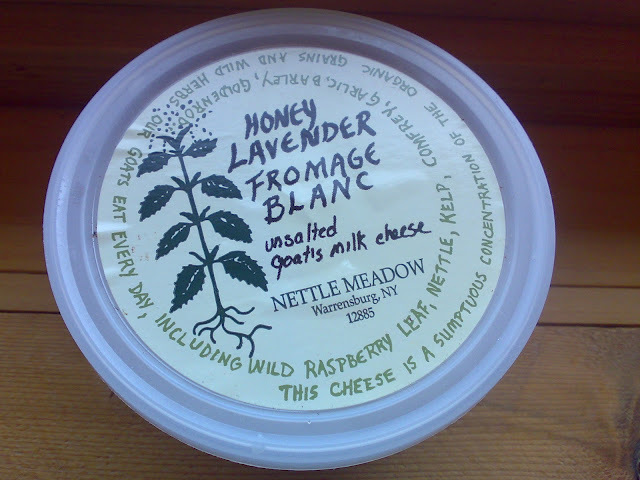 It's what makes the whole thing alive and full of enzymes and probiotics. After a few forays into kombucha, the floating culture will be something you come to look forward to, to know and to love. 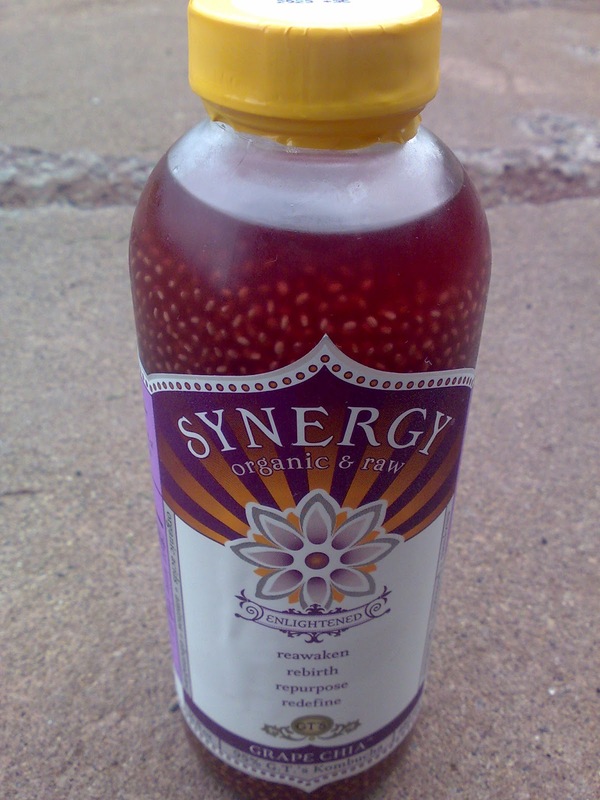 Synergy's Grape Chia boasts chia seeds as an extra nutritional boost. The seeds expand into a glutinous mass and make the grape juice somewhat reminiscent of jello, just not overly sweet. Chia seeds are rich in Omega 3 EFA's plus protein and fiber. You can't beat that in a drink! 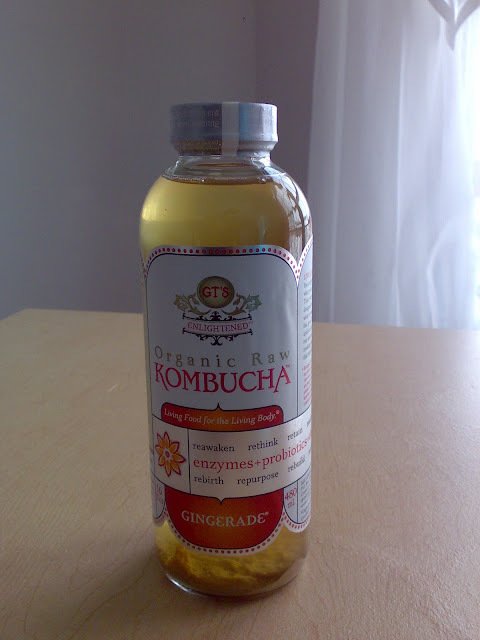 One of the original GT's formulas is the Gingerade Kombucha. 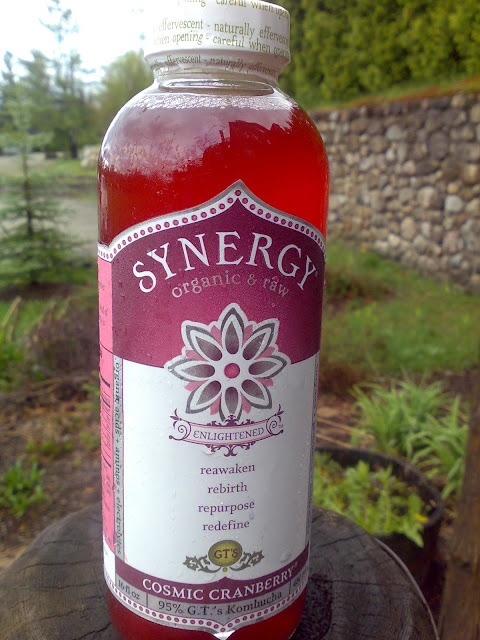 For the die-hard kombucha fans, this potion has more of a traditional taste. Not fruity at all, with very little sweet notes, it has the tang and vinegary bite of a true fermented drink. If you suffer from any mild digestions upsets, the Gingerade will certainly soothe you. I couldn't wait and drank most of this delicious Mystic Mango before I remembered to snap a shot. So luscious this one is, with real mangoes blended up inside. It's a newer addition to the flavor line-up and if you like tropical and fruity, you'll love it. The Cosmic Cranberry has a great zing, a tart on tart, so to speak. The cool thing about these drinks is they delight your taste buds. 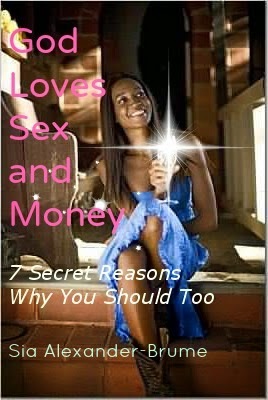 They bring life to your tongue when you sip and swallow. All those enzymes dancing around in your mouth. 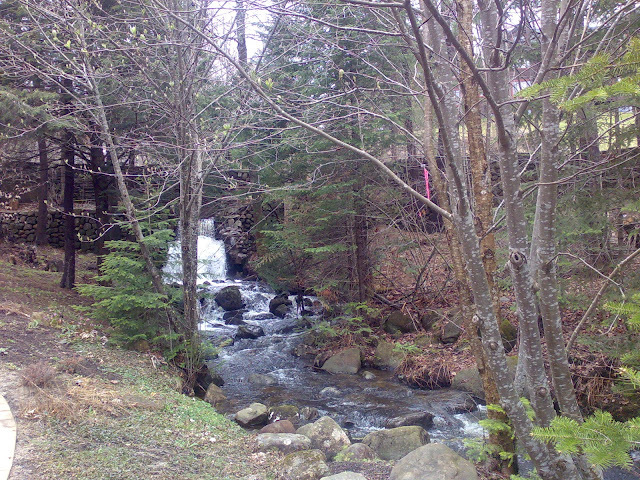 High up in the Adirondack mountains live many a lonely soul seeking solace from the fast-spinning world of twitter, facebook and HDTV. 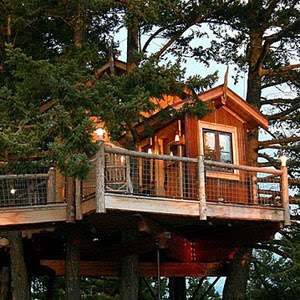 In this sublime place, one can live in a tree house on the tranquil shores of a luminous lake, in view of the snow-capped peaks. 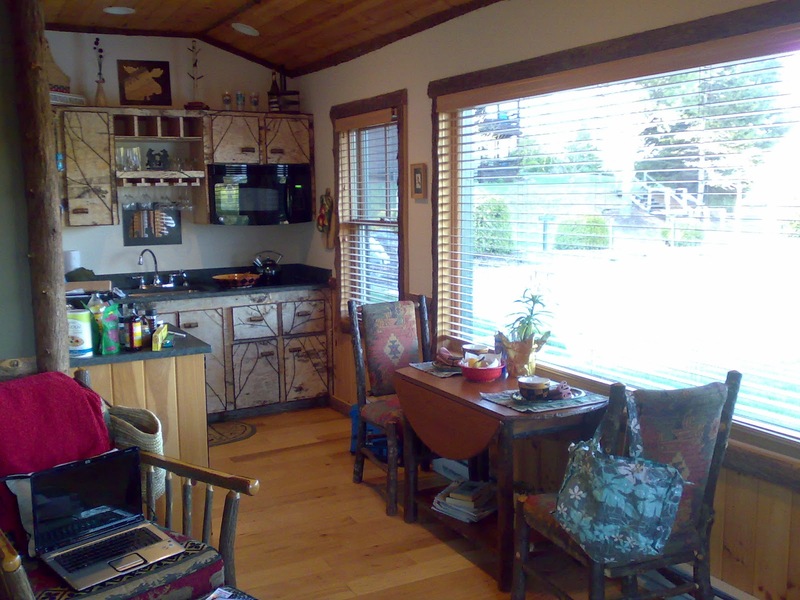 Can you imagine a quaint little cottage made of trees, all wood from the nearby forests? 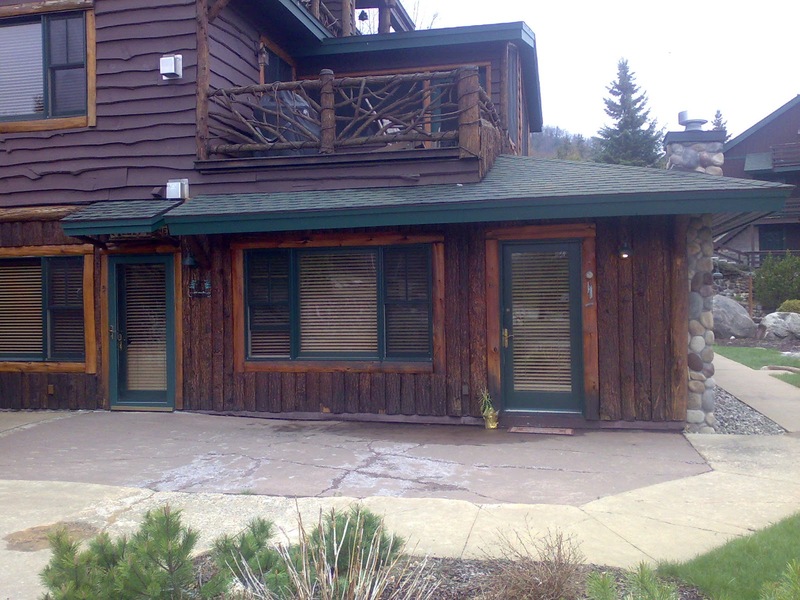 Maple, pine, cedar and spruce. A region where the air is so clear, you can taste it. Meanwhile, your backyard is a waterfall. 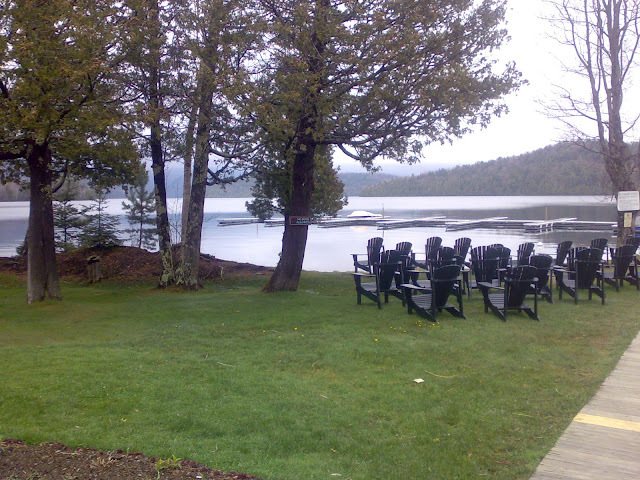 And your front yard is the very majestic lake, itself, embraced by stoic hills and mountains. 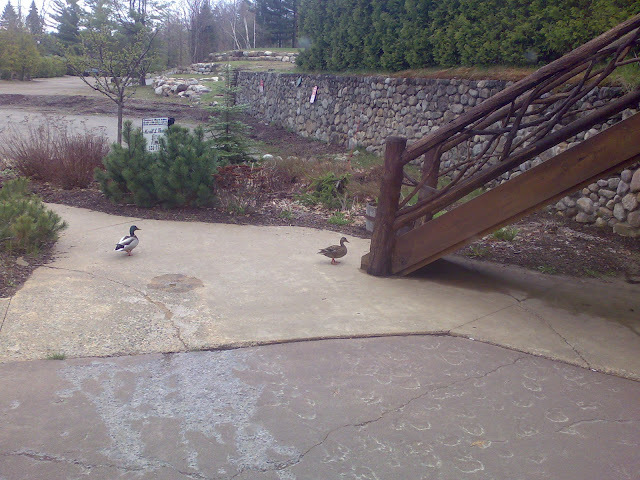 And these are your neighbors. 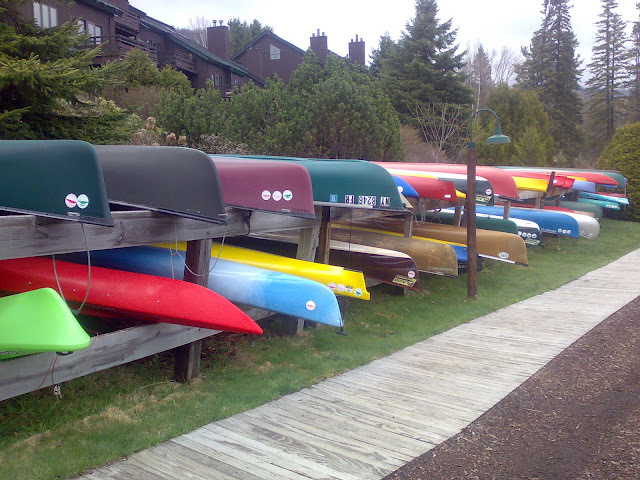 No need to fill up the tank here, just grab a boat and use your own free-power to steer your vessel. 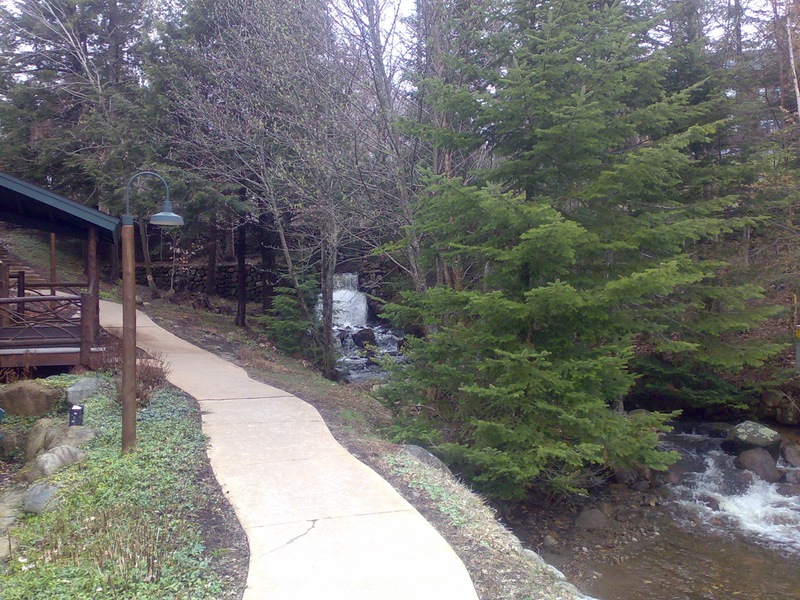 Every path leads to beauty in this perfect spot - on the earth, but not of it. 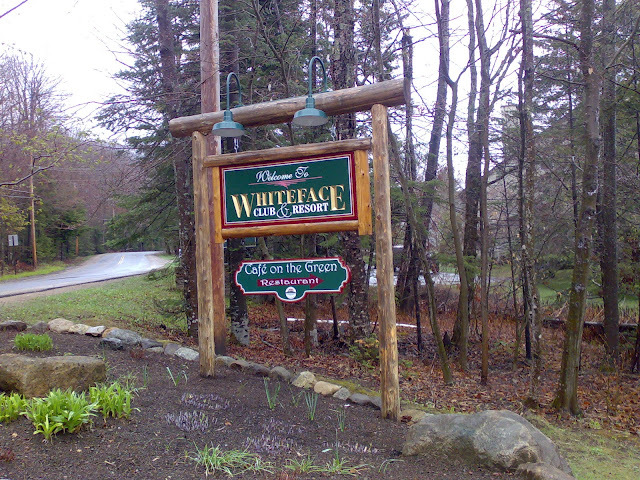 The Whiteface Club and Resort is a sprawling nature preserve-like grounds where people come to be close to the slopes in winter and to enjoy maritime or equestrian pursuits in spring and summer. 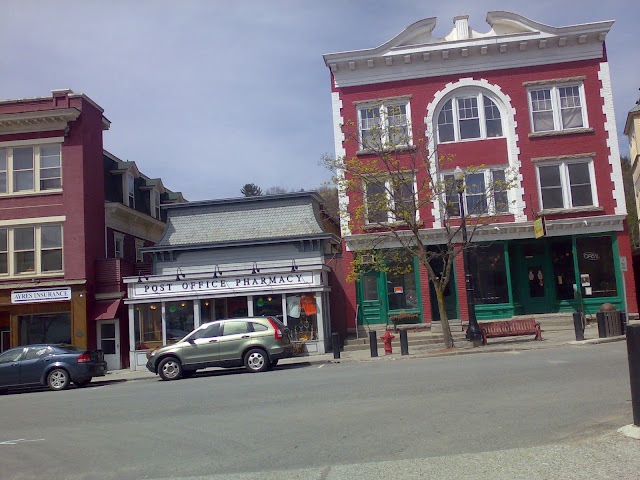 A cozy little town with old-timey charm and hospitality. 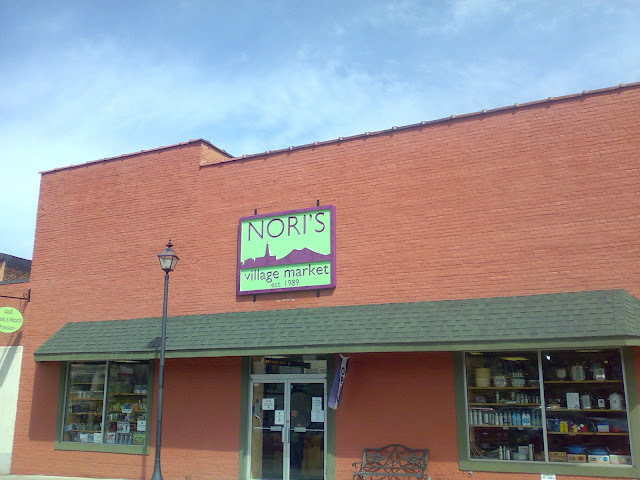 Nori’s natural market is a must-stop if you want some good food or good bread, like Conroy’s Organics Olive Loaf, for instance. It goes nicely with the local Nettle Meadow goat cheese. 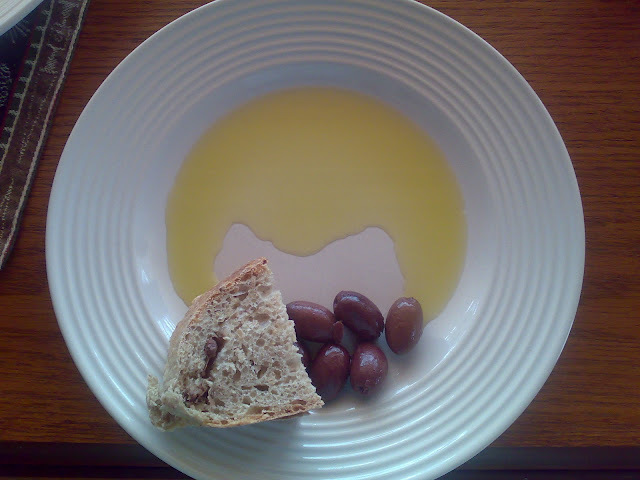 Add some Kalamata olives, too. 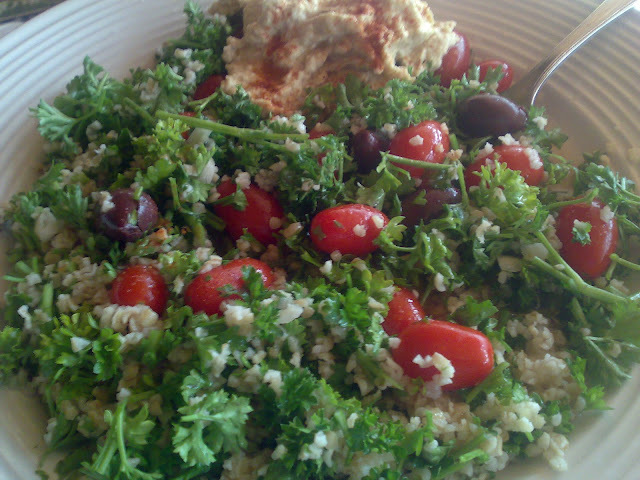 Perhaps, make a little taboulleh salad to eat with the local hummous, as well. 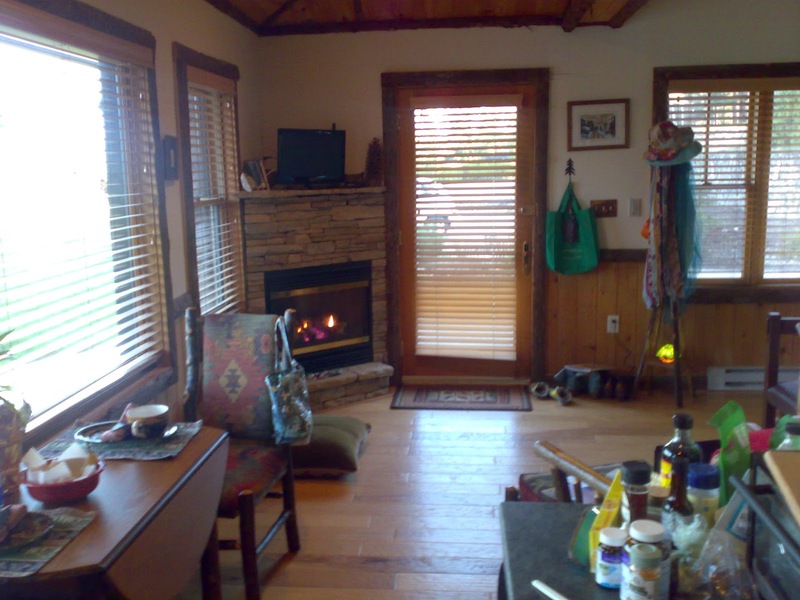 Then sit back and enjoy your retreat in this high-up place, away from it all. Indulging in something sweet, rich and delicious for dessert does not have to mean disrupting your body’s rhythm with sugar, dairy and other additives. There are many delectable all raw desserts on the market which taste just as good and oftentimes better than their conventional over-cooked counterparts. 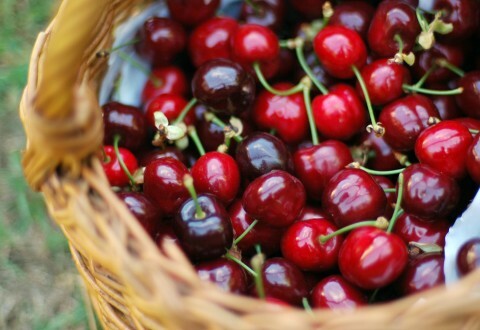 After relishing in these delights, you don’t feel heavy and bloated or over-stimulated with sugar and artificial junk. They are great for satisfying a child’s sweet tooth and can even be eaten for breakfast! 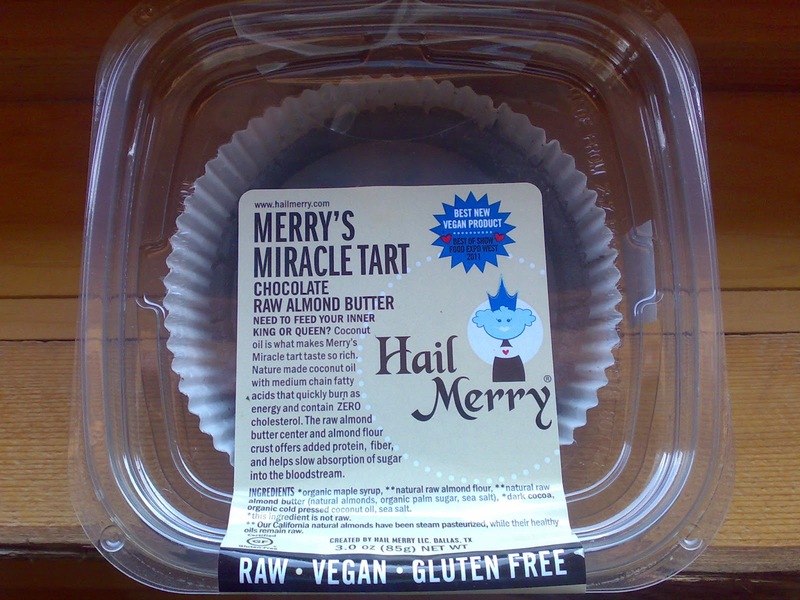 My favorite at the moment is Hail Merry’s Miracle raw, organic, vegan tarts. 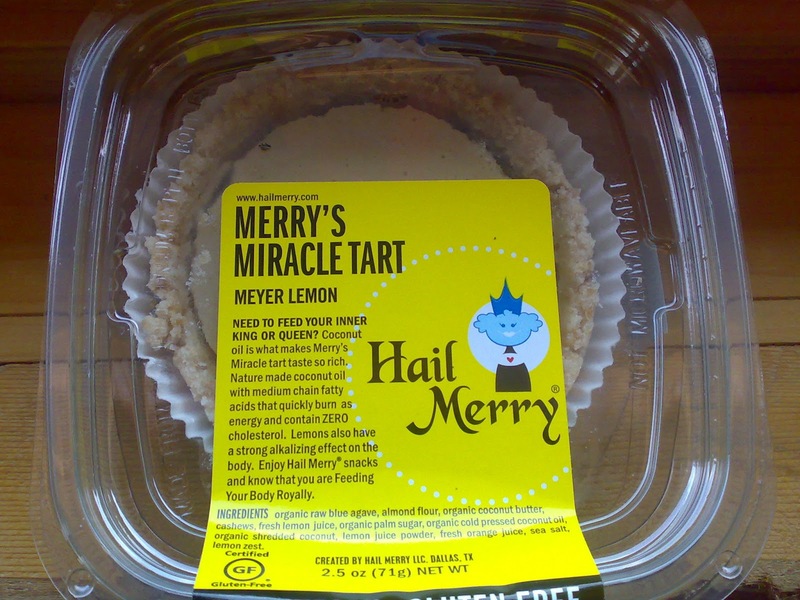 The Meyer Lemon is phenomenal and comes so close to being cheesecake without any of the suspect dairy. The crust is made with almond flour, and coconut butter is a major ingredient in the whole mix. It is really good! 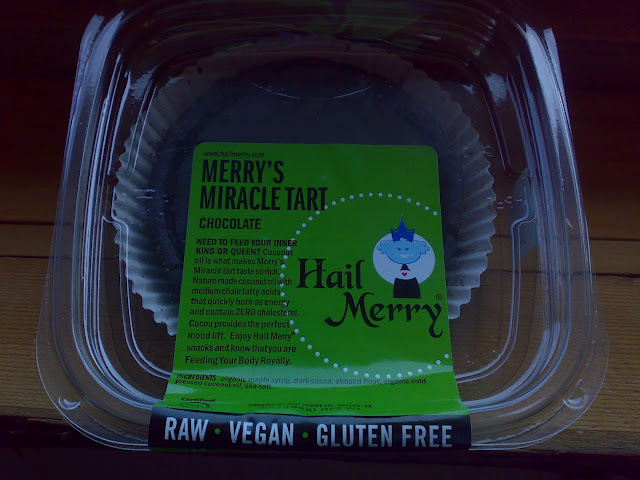 The Chocolate tart is even better! And you won’t even miss not having a standard milk chocolate cake or bar. 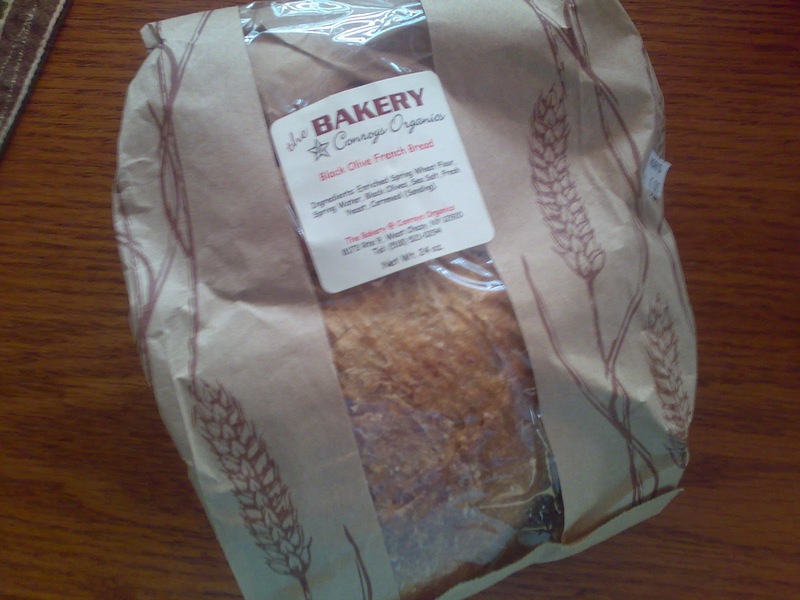 Believe me, your whole life will change when you try this slice of heaven. No more fake chocolate loaded with sugar, milk and preservatives, ever again. If you love(d) those little candy peanut butter cups from childhood and get sad when you think of never having them again. Not to worry. Here is the lovely Almond Butter-filled chocolate miracle tart! Goodbye Reese’s! I love all the innovative raw food companies springing up out of everywhere these days. 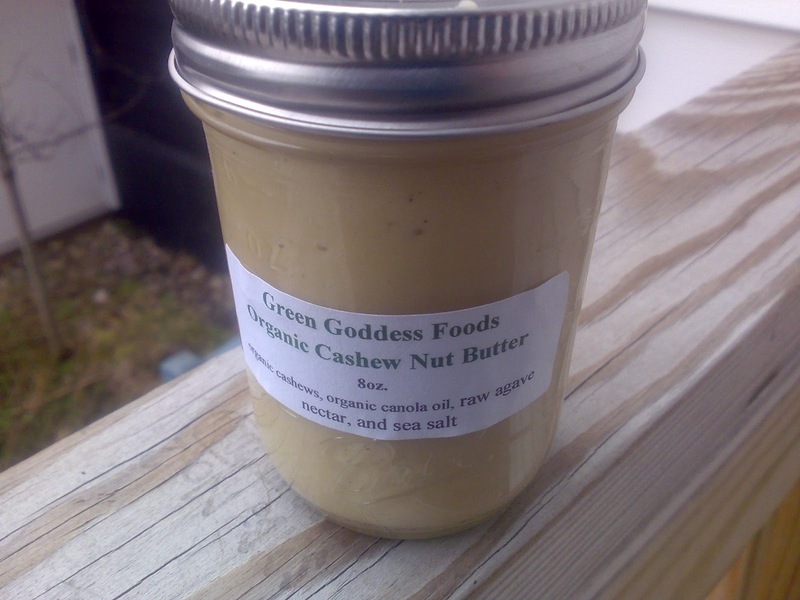 Most of them hail from Cali and these nut guru guys are no exception. They make the most amazing uncooked goodies. 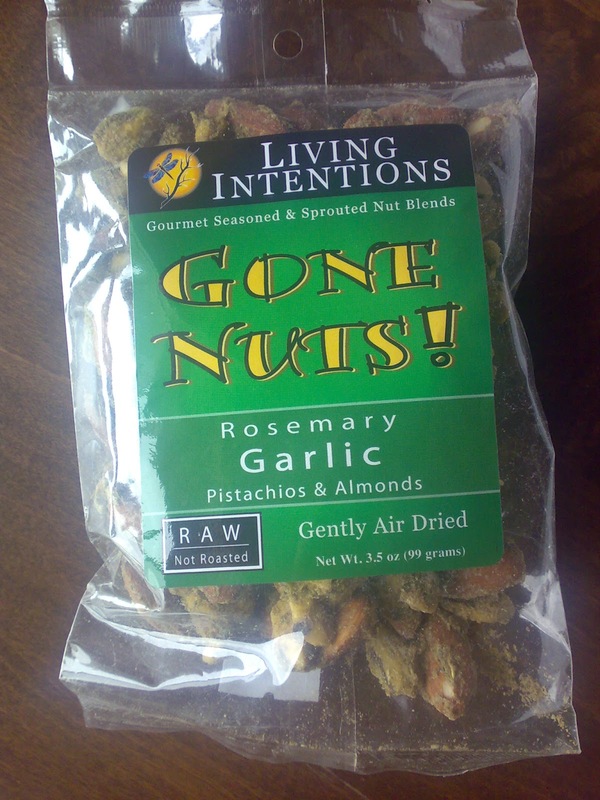 I always have a bag of Living Intentions, Rosemary Garlic Gone Nuts! on hand. The company that makes these sweet little bars, Gopal's, is surprisingly, not based in California - the home of the raw foodies! Believe it or not, this good stuff hails from Texas! 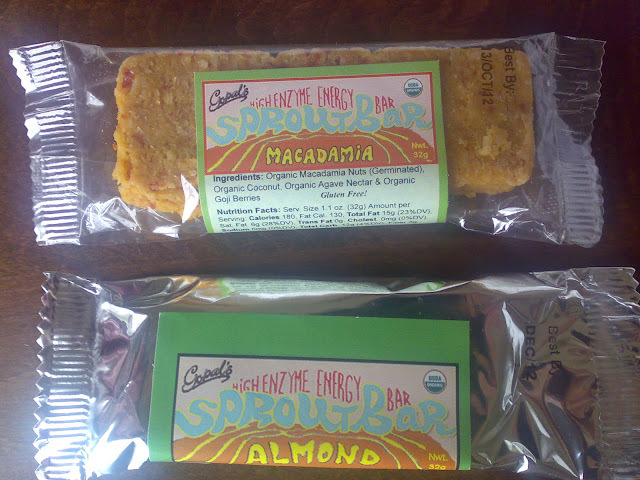 I can never choose between the Macadamia and the Almond Sprout Bars. But getting back tochocolate, I discovered this heavenly bar on one of my late night quests for something sweet, yet healthy. Oh, was I grateful to find Sacred Chocolate! 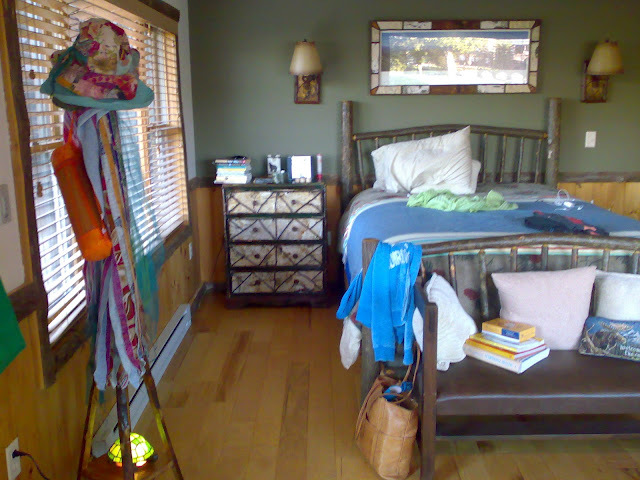 Thank you David Wolfe and friends! 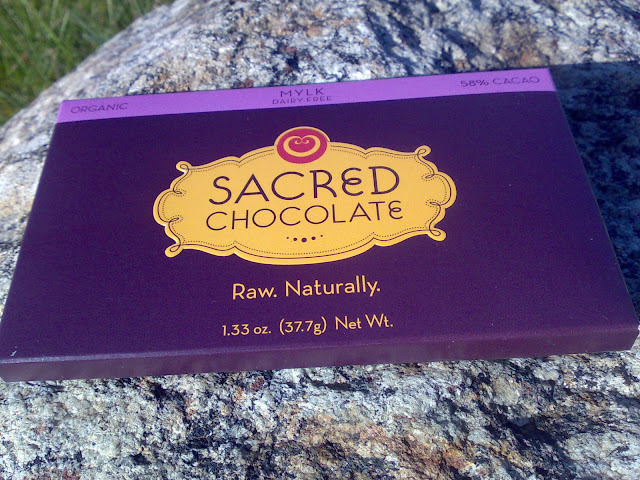 A few days Later, I ventured into raw chocolate again and, unfortunately, was not as lucky. This Righteously Raw Bar is great nutritionally, but didn't have the luscious texture I was aiming for, due to the gritty maca bits. 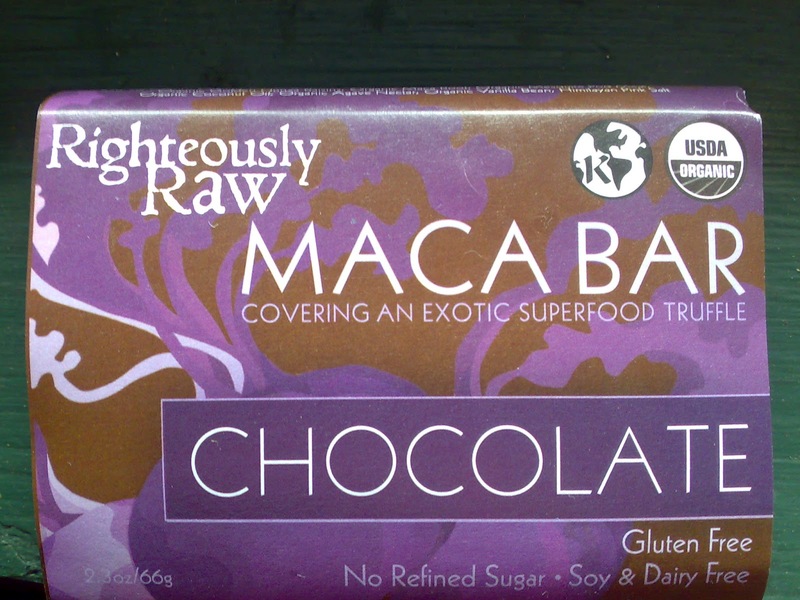 Maca, by the way, is an Amazonian superfood that is supposed to do wonders as an aphrodisiac.